On the fertile fields of Catoosa and Walker counties on Sept. 19-20, 1863, two forces whose iron wills are etched in stone and bronze across 5,200 acres of ground, clashed in combat on the Chickamauga Battlefield. The Federal leaders planned to support the troops with the bounty from the land and farms, but local support for Confederate forces and hospitals already left most cupboards bare. A wave of war rolled across the South, leaving in its wake shattered lives, ruins of ash and embers where once productive farms, businesses and plantations stood. Federal soldiers raided and looted farms and homes for anything edible. Some claim that showing Masonic aprons was the only way some area residents, such as Thomas A. Williams of Woodstation, managed to spare belongings meant for Sherman’s torches. On the Hunt farm at Chickamauga Battlefield, Betts Berry of Chickamauga shares a story about how Clarissa Hunt tried to stop a soldier from heading upstairs in the Hunt house during one such raid. The soldier started to shoot her, but his commanding officer stopped him. After being marched to Crawfish Springs and detained, Clarissa returned to find two dead Union soldiers at her house. She, her mother and a slave buried them, fearing the Federal troops would think she had killed them. 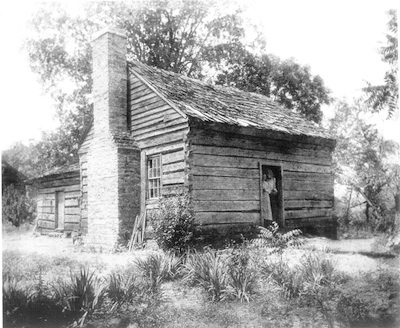 According to Jerry Fox of Charlotte, N.C., after the Union troops took all but the last hog from the farm of Minerva Taylor Fox, it escaped from underneath the house, and troops confiscated it. The 19-year-old Minerva went with two brothers to the camp and demanded to see the officer in charge. Complaining about how his troops had ruined the garden, stole the chickens and the badly needed hog, Minerva won over the commander, and he had his men dress and return the hog. As the Battle of Chickamauga loomed, Federal and Confederate forces were unsure of each other’s location, and the eventual meeting of forces at West Chickamauga Creek came out of two units meeting each other by chance. Despite better-laid plans by generals, this happenstance meeting decided the place where the battle began. These initial shots heralded two of the bloodiest days of warfare in history. 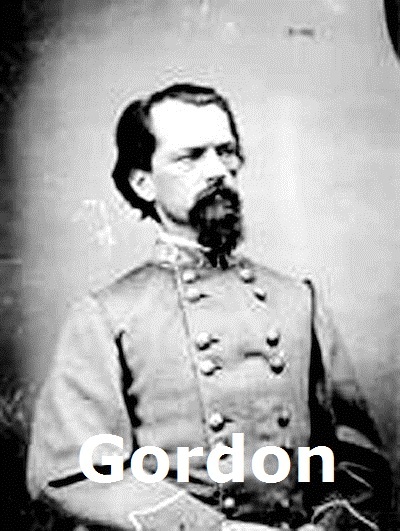 In “Reminiscences of the Civil War,” Confederate Maj. Gen. John B. Gordon compared the battle’s three-to-one losses to history’s greatest battles at Waterloo, Wagram, Valmy, Magenta, Soferino, Zurich and Lodi. The battlefield is where an estimated 35,000 of the roughly 120,000 Federal and Confederate troops were killed, wounded or listed as missing. “Words, however, cannot convey an adequate picture of such scenes; of the countless costly, daring assaults; of the disciplined or undisciplined but always dauntless courage; of the grim, deadly grapple in hand-to-hand collisions; of the almost unparalleled slaughter and agony,” he wrote. 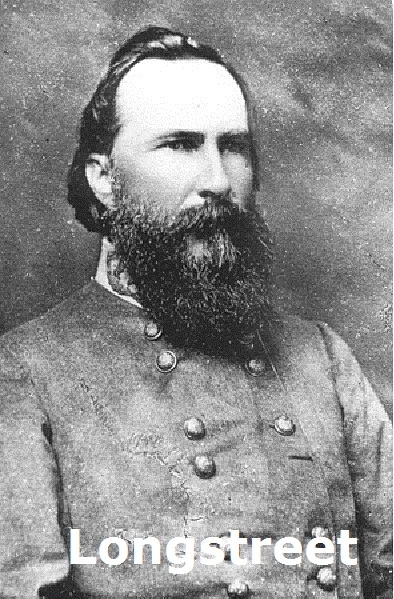 Confederate Lt. Gen. James Longstreet and two of his divisions reinforced Bragg at Chickamauga, arriving by rail at Catoosa Station in the largest troop movement by rail at that time. The presence of Longstreet’s forces helped to turn the tide of the battle. 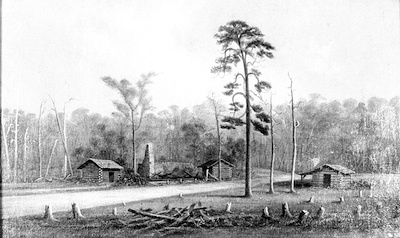 Before the Battle of Chickamauga, the ground upon which the armies fought had been endless acres of farms and forests. The center of each farm was the home of a Catoosa or Walker family. These family names, such as Hunt, Kelley, Reed, McAbee, McDonald, Park, Poe and Brotherton, among others, are now permanently entwined, and in a way enshrined, in the history of the United States and Catoosa County. While most of the families gallantly sent male members of their kin to defend the South, it is certain they never imagined that from their cabin doors they would look across their fields strewn with dead and decaying bodies. As the battle began, the Reed family history claims that the first cannon fired sat in their yard near Reeds Bridge. Jacob and Sallie Reed had five boys who volunteered for service: Jimmy, Tommy, Charlie, Bunk and D.O. Four of them took part in the battle, as did house guest John Ingram. Ingram is the only known soldier buried today in the park outside family cemeteries, and was found by the Reed brothers, who buried him and marked his grave. As the battle waged on all sides, the Reed house became a hospital, and Sallie Reed tended the wounded on the floor of her home. 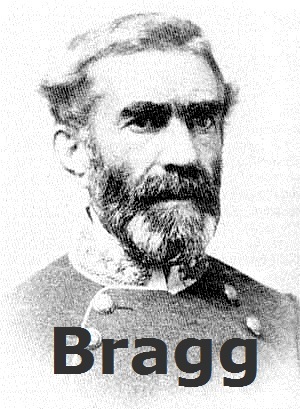 Among the wounded was Gen. Ben Hardin Helm, brother-in-law to Pres. Abraham Lincoln; Major Rice E. Graves, a young boy from the 9th Kentucky; and soldier Fred Joyce. “The passage and the hall were full of groaning and dying soldiers. Mrs. Reed was passing to and fro, rendering all the assistance in her power, and much distressed over our pitiable condition. Sallie Reed’s boys came home safe from that battle, but her son Charlie was later killed at the Battle of Franklin, Tenn.
Confederate soldier William C. McDonald was the son of John and Bell McDonald, who lived in a two-room log house near the crossing of Lafayette and Reeds Bridge Roads. According to the book “Joel Kelly” by Paul and Alba Smith, he joined the service on the same day as his friend and neighbor, George Washington Kelley. Kelley lived with his parents, Elisha and Sarah, who rented a farm from his Uncle Elijah. Both men fought at Fort Donelson, Tenn., with Kelley receiving a wound to his arm. McDonald was captured, exchanged and returned to fighting. McDonald then served as a teamster at Chickamauga hauling wounded soldiers to area hospitals. Kelley left his unit to return home as the fighting drew near, but he surrendered to Union forces before the battle began. The Kelley farmhouse was destroyed during the battle. 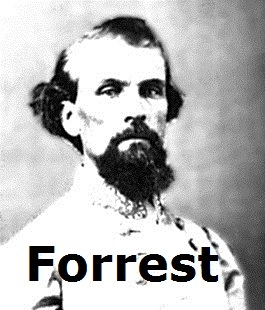 In the “History of Walker County, Georgia,” McDonald recalls the Federal army taking his father to serve as a guide for Gen. William S. Rosecrans. His father told the story of being with Rosecrans when the Union right was broken. The Federal troops took the elder McDonald to Chattanooga and held him until after the Battle of Missionary Ridge concluded. Left: Confederate soldier George Washington Kelley, holding Rufus Clayton Kelley; Amanda L. McDonald Kelley (wife) with Dora D. Kelley (Hancock) at her knee. Gertie May Kelley (Fuller) at Washington’s knee. 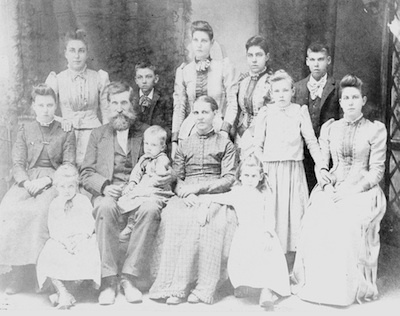 Around their parents, from left: Alice E. Kelley (Howard), L. Belle Kelley (Fuller), Lee Anderson Kelley, Hettie Elizabeth Kelley, Anna Laura Kelley (Brown), Clemmie C. Kelley (Henderson), Clark Alexander Kelley, and Mary V. Kelley (Howard). 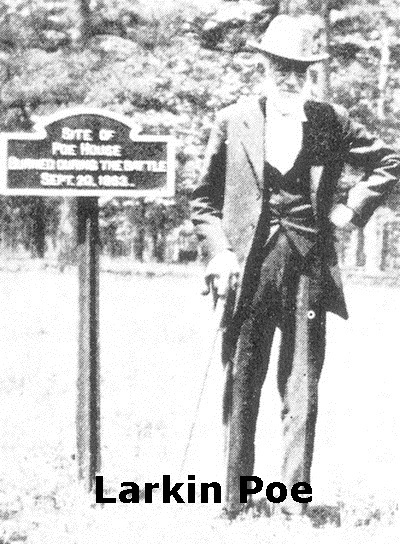 Catoosa farmer Larkin Poe was serving in Company K, 4th Georgia Cavalry, in Rome, Ga., when the battle began. Poe’s unit moved forward, but the company did not arrive until after the battle was over. Poe rode closer to the Brotherton house, where his wife’s family lived. Wounded soldiers filled the house, but the nurses could give him no word of his family. He found his father-in-law inside, and the pair traveled to his farm and discovered it in ashes, bodies all over his fields, and his family gone. Poe finally discovered that his family had taken refuge with other survivors in a ravine near the Snodgrass house. He found them, along with roughly 60 others, gathered around a log fire. This group of women, children and elderly had waited in the ravine without shelter, food or water for eight days. Poe and his family never returned to the farm. While generals later debated who won the Battle of Chickamauga, history marks it a Confederate victory. In retrospect, the people of Catoosa County did not have much to celebrate. Most returned to their destroyed homes, their belongings gone and fields in ruins, covered with the bodies of those who struggled in mortal combat. If a structure did survive, it was a hospital; so most families had to abandon them indefinitely. For some families, the dead lay in their fields for months, while others simply never returned. Looming ahead in Catoosa County’s not-too-distant future was the Battle of Ringgold Gap, various skirmishes and Federal occupation.